I couldn't find any info whether they are working on a new product or not but I presume they do question is when would they release it? What do you guys think? I really don't want to spend all that money especially on delivery just to see a new solar panel appear on the market. I'm not saying not to go for it, but there is a probably a pretty good chance one will be released in the next few months. Anker PowerPort Solar. Exclusive to Anker, PowerIQ discovers and replicates your device's original charging protocol to provide its fastest possible charging speed up to 2.4 amp per port or 3 amps overall (with enough direct sunlight). | eBay! Do they ship to your address? I doubt it. 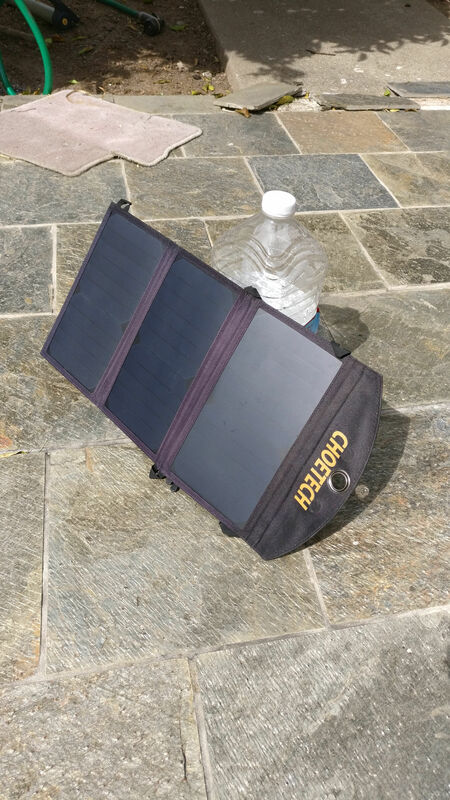 Solar is a low innovation area, there's little Anker can do better, they already are using the best solar panels, possibly they could fix the flaws of the small velcro pouch, possibly they should make it white so it's less hot so more efficient, but that's small incremental changes. 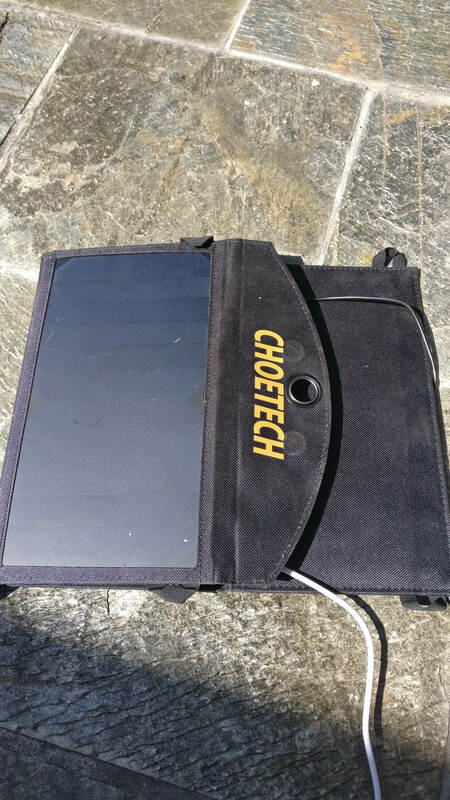 Personally I think the Choetech 19W panel is better as it has a zipped pouch. I own the Choetech 19W Solar panel and love it.. It is "too powerful" when its just you with a low-end phone on a long trip off-grid. It gives easily 2A output and my phone struggles to ingest more than 1A even when off (I own a meter and I use it!). So i'm waiting for Anker 15W to come up for sale, which is hasn't for ages.... (black Friday I think was last time). The Choetech 19W is just-right for say a Powercore which can make use of 2A, or a higher-end tablet, which would collectively make quite a weight when backpacking, so my 19W is more for home emergency, car emergency, but not backpacking. Sadly paypal is not available in Turkey(like so many other things!) so I can't use ebay. As for choe tech, it surely looks nice. Is it more powerful than anker? I'll use it with a powerbank and charge stuff during night. Pouch is not important as I'll keep powerbank inside pannier while charging. I also saw goal zero nomad 14w came out. So I kinda need to choose between choetech, anker and goal zero. Any thoughts? eBay and PayPal are separate businesses now. At eBay checkout you can pay via credit card. The Choetech 19W is about the same output as the Anker 21W. The bigger the solar panel the more likely it will deliver the charge you need in less than ideal situations, but is heavier. Smaller solar panels need near perfect conditions to charge devices. GoalZero is usually more expensive. Use of solar during day to charge power bank, which you then use to charge devices at night is one approach, the downside of this is the panel will be less well aligned with the sun and you lose energy in the conversions. Example calculation. 21W delivers in strong sunshine about 10W. During a long day of sunshine you'd get equivalent of say 5 hours sunshine (8 hours but the sun moves and panel not perfectly aligned). So you got 50Wh. Storing energy via battery losses 20% so to your devices you give 40Wh. Compare that with the Wh of the devices. If went with a smaller panel you get more time when the sun is too weak, so a 15W panel gives 7W but in a full day gives say 4 hours equivalent, so 28Wh, 22.4Wh. Then compare weight and cost. Usually you conclude a bigger panel is better. Where a smaller solar panel makes more sense is if you stop moving, when sky is clear, you point panel perfectly to sun, and recharge your devices directly. Say then you got 14Wh. I'd say in general get the biggest solar panel you can afford, the Anker 21W and Choetech 19W similar in performance and weight. Thank you Nigel! this was very informative exactly the info I was looking for. I am leaning towards cheo tech now it seems more rugged and also more compact. I will read more reviews and make my decision. Sadly, ebay doesnt let me pay with credit card when I choose Turkey as delivery address. 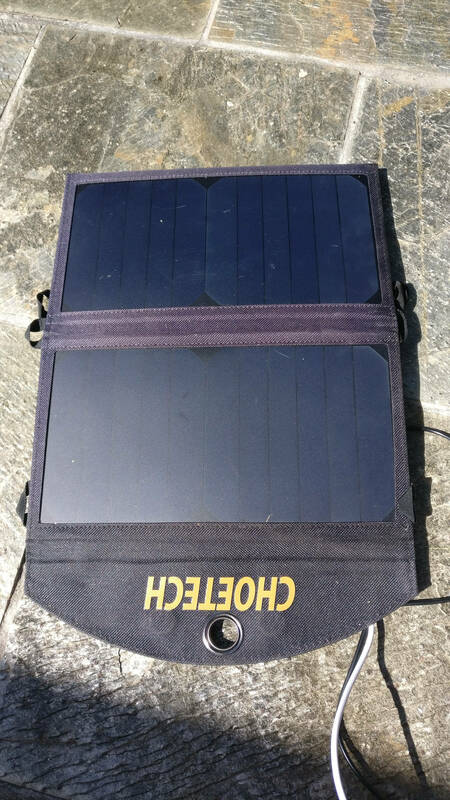 I'm not so sure that the Anker vs Choetech size/weight, I'd say they are similar, Anker has an extra panel in which one side is logo and other side is a velco pouch, Choetech places a zipped pouch on rear of one of the solar panels. I'm also not sure about ruggedness, they both have eyelets to mounting on backpack/pannier/tent/tree/etc. 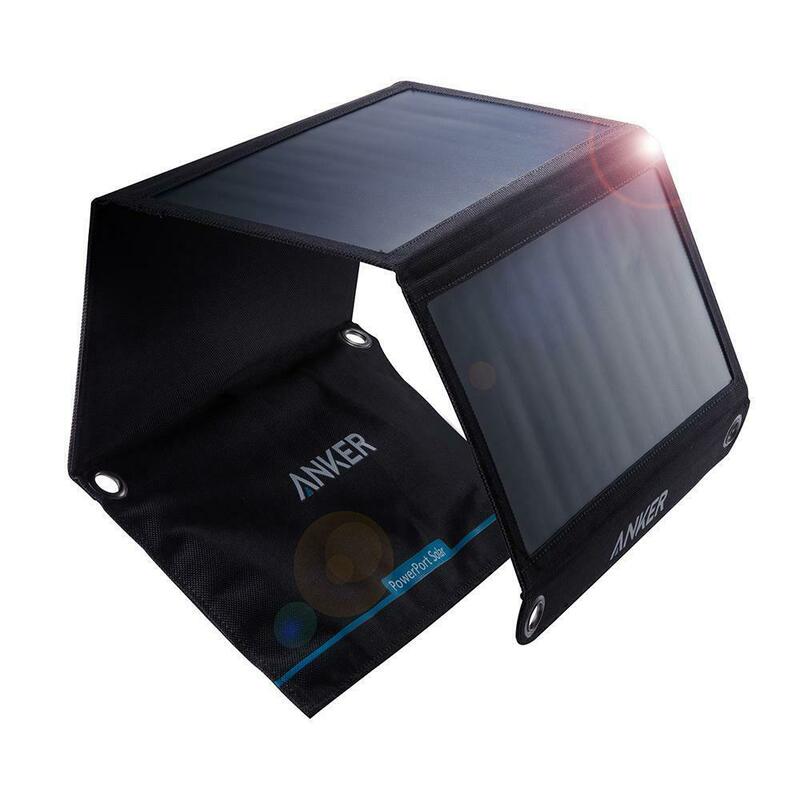 So Anker 21W is 3 solar panels + 4th panel with USB sockets so is total 4 panels, Choetech 19W is 3 solar panels with the 3rd having pouch so is 3 panels. The difference between a zipped pouch vs velco pouch is about the same as that 4th panel's weight add. The biggest overall issue is not Anker vs other, but Anker and the others all use unrealistic Wattage numbers. Both Anker 21W and Choetech 19W are not 21W or 19W, they are more like 10W, so 2A@5V and that is in strong clear sunshine. You're typically seeing about 16oz for either product, and 16oz is about the weight of 20Ah@3.7V so 74Wh of portable charger. Hence you're needing at least 7 hours of strong sunshine to make solar lighter than portable charger. To get 7 hours of strong sunshine could take 2 days. Hence you're really talking longer trips off-grid. Then ask yourself if over days you aren't going to be sat indoors having a meal or doing laundry and then make use of wall socket power to recharge. - even the Choetech in some situations will have its red light flashing saying it is not happy and not be deliverying power, to which unplug everything and replug and then its happy. 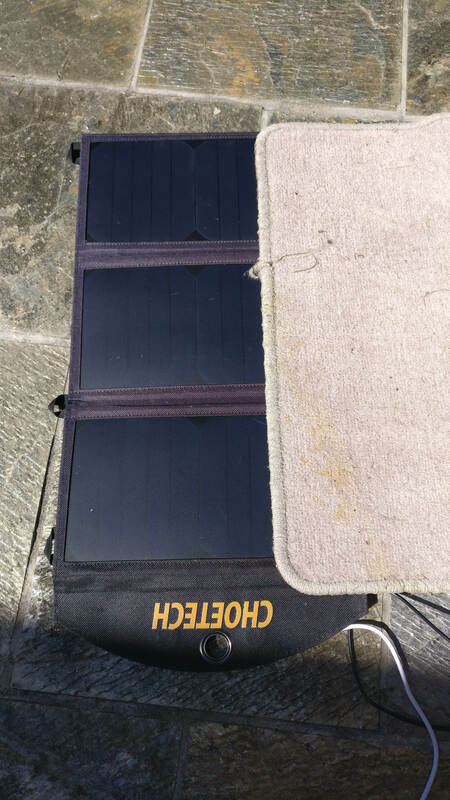 As test just now in passing clouds and hazy sun, I plugged in a mobile to the Choetech 19W and I was getting between 3W and 8W as the clouds passed, with the panel tilted to the sun. I'd expect similar off Anker 21W. If I did (which I don't) have the Anker 15W, i'd be expecting at times of denser clouds the voltage to drop so low the phone stopped charging. So learning this before you go and knowing what to do will help enormously. I will be touring for around 3 weeks and I'm gonna sleep in my tent so I will have probably very limited to no access to wall sockets. I have dynamo hub on my bike which gives me enough power to charge up my camera, gps and cell phone normally but I want something that'd get me through days where I just lay down at a beach somewhere. I will have less power need but I won't be able to use the dynamo hub power. From what I understand these panels could get me through these days right? I wouldn't be using the panel in rain but I saw choetech is weatherproof whereas anker is not and unfolded size is smaller than anker due to one less panel. So I thought choetech would be better in that regard. Also for the W does that apply to goalzero as well? Do you know how many Ws can I expect from Goalzero nomad 14w plus? 3 weeks off-grid = Solar. I also ride a road bike with a SON hub and it powers my B&M Luxos U and has usually enough excess power to keep my Moto G4 Play charged on the handlebars for navigation, so I'm usually finishing the day fully charged or near to. I ride about 6 hours/day. So your hub is going to do a lot for you. When dark obviously hub can't charge off hub as the hub is prioritizing lights. I just did a test with the Choetech 19W, in (sun high in sky) cloudy conditions even at the darkest cloud it was able to get to 4.2V minimum to recharge the Moto G4 Play at between 0.4 and 1.6A. A wall socket would be about 1.6A. Strong sunshine is going to be tripping over 2A (5V, 10W). So between the dynohub and either the Choetech 19W or the Anker 21W, you'd be pretty much able to last indefinitively. Don't know GoalZero, I just see price and don't look further. Anker 21W and Choetech 19W you'd be doing equally fine with either, base it on price/availability. Add a USB meter to your order list, it allows you before you go learn all of this beforehand, you'd learn which cables are good (you mention cabling to devices inside a pannier, longer cables fail more often) and relationship between sun brightness, cloud and Wattage. Use of solar to charge a Powercore to then charge other things: do this secondary, not primary, once your devices are charged, then connect the Powercore to soak up spare excess solar energy. Do not do this in reverse as you lose energy storing via an intermediary battery (lose about 20%). If you're touring, then unless you're an athlete, you'd probably not want to be biking more than 6-8 hours per day and you have 12 hours daylight average. Consider making use of stationary time to prop solar directly at sun and keep an eye on charging. If you have the USB meter with you there is a visual feedback of actual Watts. 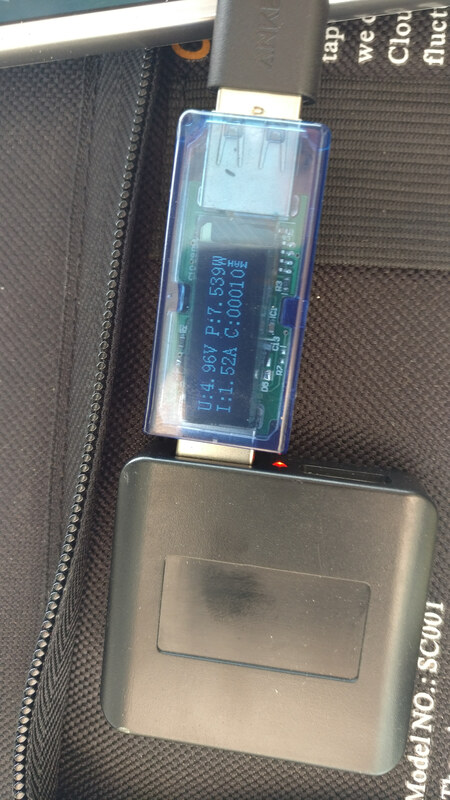 My USB meter is hard to show what I mean with my Choetech but I tried to take some photos. Shown propped up to face sun - this is how you'd often be at bike stops and in morning and evening, you'd be getting a few hours/day like this. Do you math. Total Wh of devices is...? How long do they last per day on full charge? If say a device needed a full recharge per day then you need its Wh. If it needed a full recharge every 2 days then you need half its Wh, etc. Add all this up to get your total Wh needs. Assuming 10W/h off either 19W Choetech or 21W Anker, then you can work out how many sun hours you need / day. If its getting above 4h then its borderline, but <4hr is very viable. To @AnkerOfficial I'd love to show photos of Anker products but you've yet to offer it at a competitive price. Got Choetech for $43 total cost delivered last year. Never seen Anker that price. Sorry. FYI as its bright sun today I did a few experiments. I encourage watching about solar from this chap, he explains in detail slowly so you can really learn. In particular focus on solar, and then on USB meters. I think these points done on a non-Anker Choetech 19W, will apply across to an Anker 21W, and it is do with how photovoltaics work, parallel and sequential, voltages. Each panel, of which the Choetech 19W and the Anker 21W have 3 panels, is made up of small cells which are connected in series, then each panel is connected in parallel. So I'm guessing each cell is making a tiny amount of voltage and current, lots of in each panel in series then aggregate their small voltages to make around 5V at the current of each cell. Then the panels in parallel aggregate their 5V current to make more current. A cell is a semiconductor means electrons flow when sun shines on it, when no sun then it is an insulator. Hence when cells are connected in series, to aggregate their voltage, if any of the cells in a panel is seeing insufficient sunlight to allow electrons to flow, then the series is broken and no current flows through that panel. This is what I tested and it very important for anyone not familiar with a particular construction of solar panel to understand. 1 panel fully seeking the sun = 0.6A @ 5V. So this tallies with each panel being about 0.7A. If however I opened all 3 panels and put a shade across the top of each panel = 0A, the meter shutdown. Hence if you partially shade a panel, it shuts down the whole panel. If you left the panel under a tree with branches partially shading each panel, you'd get no energy. You're better off having weaker sun to all of a panel than strong sun to part of a panel. Then to simular a 1-panel, here via 2 panels tucked under, now you see a drop, as the device attached is capable of ingesting 0.9A but the 1 panel is only giving about 0.7A maximum output. - a lot of devices can't ingest as much as a big panel can output, so pair up your panel with your device. In my experience a phone can pull about 1.4A-1.6A, a tablet about 1.7A-2A. A "21W" or even "19W" is more like 10A so 5V 2A so it is well capable of charging most devices, including useful in cloudier days where all of a panel receives some sun so it acts to make some voltage. If Anker wants to me send me their solar products I'd happily review. I might even buy another meter so I can measure both ports concurrently, in perfect conditions you're beginning to exceed what a device can feed from 1 port. Very nice in-depth review @nigelhealy I think you might want to share this info on youtube or somewhere else as well as this would be certainly very helpful to many others. I couldn't find many informative reviews like this on web. 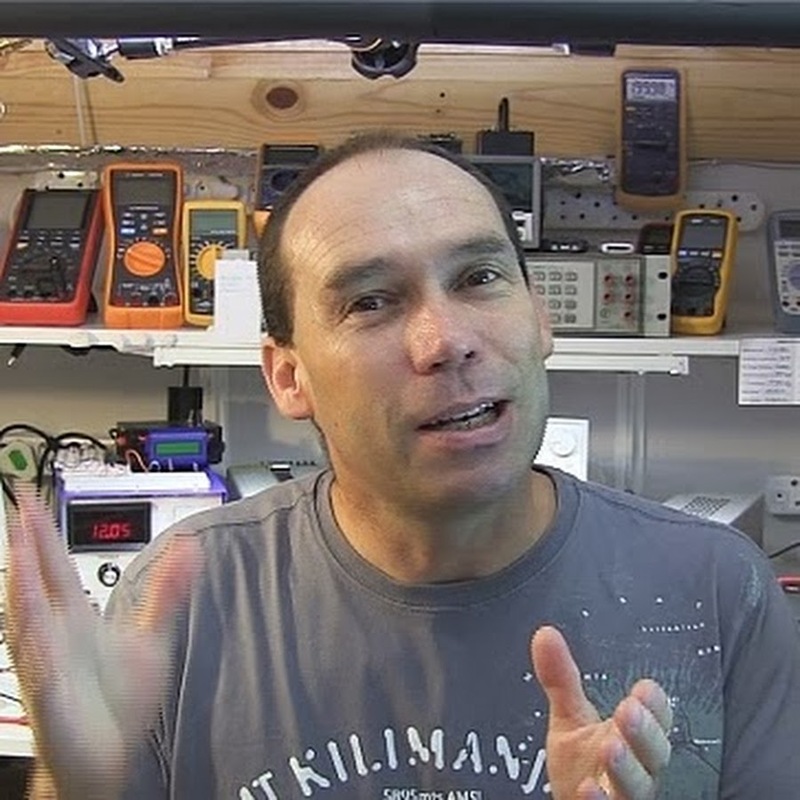 I have watched mjlorton's comparison video of solar panels it's very particular. When you first told me that I need a power meter I wasn't very sure but after reading your last post and watching mjlorton I'll definetly add it to my order and will try to learn more about solar charging in the mean time. That shading test is very important as well as I'll need to make sure they are facing clearly to sun while I'm riding. Also after watching mjlorton's comments I have looked up ravpower's solar panels on amazon and found that 24W solar panel ships to Turkey. So cutting down the 3rd party shipping cost would make this the most valuable option and even though it's quite large and maybe a bit overkill I can fit it on top of my rack-pack. Check out the WEIGHT of these items. The newer designs use "sunpower" type of cells which are more efficient than the predecessors so for a given wattage are lighter. I believe Choetech and Anker current latest uses the same cells so similar performance/size/weight. I think there are still some of the older type of Ravpower out there. If you can share a link I can attempt to help. What looks bad is its weight, 1.65 pounds. For 24W I'd be looking at around 16oz. I think the 3 USB dongles showing have a lot to do with why it is heavy. If that is your best choice then it's your choice, I guess. Can't you get Choetech? It's lighter! Well I will definetly keep my options open and look and read more as I will order around June but currently it seems like the best option since using a 3rd party shipping service would set me back around $30 just for the solar panel. So there is that.. I prefer the metal hooks to those plastic straps too. However like you said it is heavy and it is quite large. It looks like the best option for now but will need to think about it. In any case I too think they should send you those panels for your review so undecided customers like us can benefit. I'd allow for worst-case scenario if you can. I got it purely on the mjlorton recommendations and it had sufficient features. 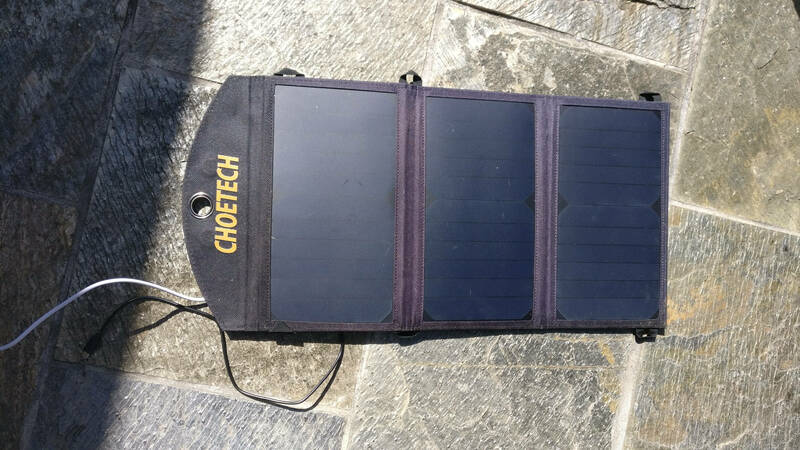 With the Choetech which has the USB sockets inside, it is hard to read the meter when the solar panel is in the sun, so get an extension cord if you don't have (I had one already). Test cables, about 1/4 are bad (but Anker's are good, I only had 1 of them fail). Learn the tolerance of your devices to variable sun. Each device has its foibles, Apple most so. It is when either if they connect when sun is weak they lock themselves into "trickle charge" (I had this today with my Choetech charging a tablet) or if the sun goes weaker then stronger it locks as the weaker level. This is why often you hear to charge an intermediate battery (like a Anker Powercore) as they are more tolerant. Once you know these foibles you can adjust during the bike tour to match. Then when you leave on your bike tour: you have a known good panel, with known good panels, with known foibles of your devices and a known expectation of how sun = time with devices. - heat lowers solar efficiency, so cooler mornings make more sun than warmer evenings. Chances are the cyclist has the same view so you're likely biking more in morning when cooler. Propping solar panels up at an angle off ground can help air circulation to keep solar panels cooler, helping with efficiency. The good news is solar is now highly viable. Fairly low cost low weight devices now can give a decent chance of charging most devices from flat to full in day. Most of the innovation has been from the cell manufacturers (e.g. SunPower), a little bit of it from the USB panel integators (e.g. Anker). We're now at a point where someone could do a very long bike tour off-grid with dynohub and solar. If your device is flat and its dull weather then you rely on dynohub for power more and light less, if its brighter light then use solar more, this evens out your energy inputs (hub, solar) to keep going for weeks. The main overall point is they give about half the claimed Watts, so the Anker 21W gives actually 10.8W (although other reviews show nearer to 10W), the Anker 15W gives 7.4W, etc. Hence 21W = 2A, 10W=1.5A, etc. I tested some more of my devices. My 7" tablet (Nexus 7 2013) even when flat and powered off, could not ingest more than 1.1A. So for most of the smaller lighter devices you own, you'd not use all of the Anker 21W's output in strong sunshine, unless you had multiple devices to use both ports. Also, the prices vary highly by country. The Aukey 14W and the Anker 14W are similar output (the Anker is 12% higher but we all know Anker is better ) but in UK (nearer to Turkey) the Anker 14W (actually is 7.4W) is £40 and the Aukey 14W (actually 6.7W) is £23. So that's 74% more cost for 12% more performance expected from Anker.